Rain wont stop the good fishing! There has been alot of rainy days this past week in Fort Myers and Estero Bay but it hasn’t’ stopped me from finding fish and being successful on the water. The rain luckily was not accompanied by any lightning and you know my motto “no lightning were going”! Safety is paramount when deciding on cancelling a fishing trip, but if its only rain i provide the rain gear for my customers and were off. Call me crazy but i kind of like fishing in the rain, we’re the ONLY ones out there and it stays cool all day! The fishing is some of the best it has been and will be all year. 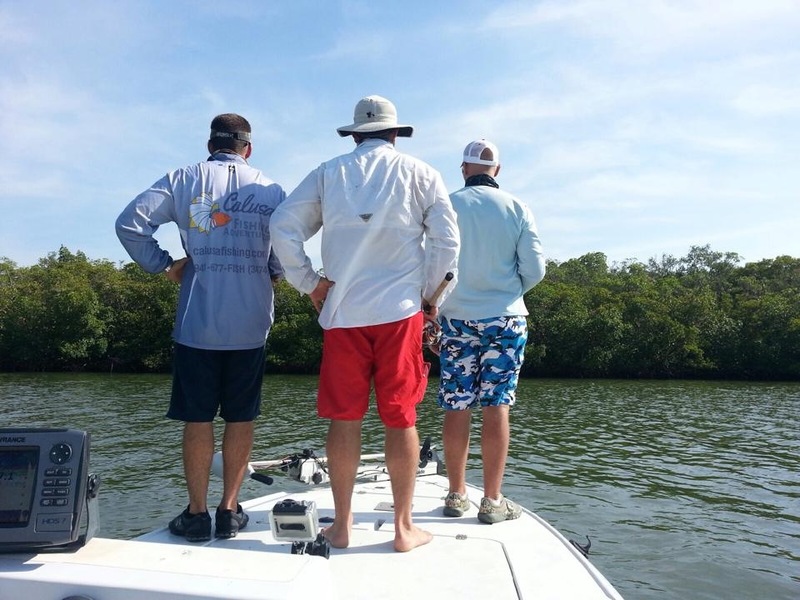 Fall is magic in our area, and the fish typically make us Fort Myers Fishing Guides look really good. They don’t seem to mind what the tide is doing they are feeding on either the outgoing or the incoming. All you have to do is figure out what it is doing and set up accordingly to maximize your chances. Fish grass flats on the outgoing and bushes on the incoming. This is a great time to try your hand at artificial fishing as they can cover alot of ground on a flat and the fish are hungry and not picky enough that even the inexperienced anglers can catch a few with fake baits. An important thing to remember when fishing a flat is to make sure you are being stealthy and not damaging our grass. Keep your trolling motor up when really shallow and use a push pole, also NEVER run your boat across any of them. These grass flats are a VITAL part of our areas Eco system and we need everyone to take care of it if we want it to be around for future generations to enjoy. Snook season is open but don’t keep them, the population will thank you later! Bait is around the beaches and everything is hungry for it. Get out and catch some fish while it’s not busy on the water! « Don’t Forget to check out our reports here also!